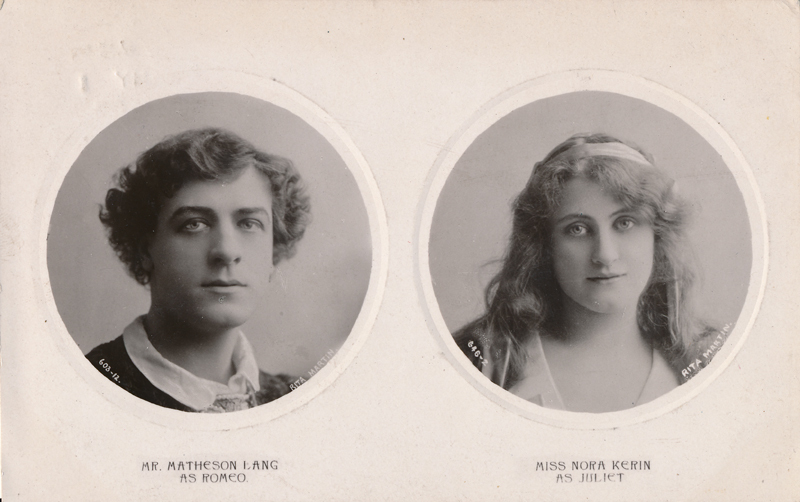 Matheson Alexander Lang was eighteen when he first appeared on the stage in 1897. 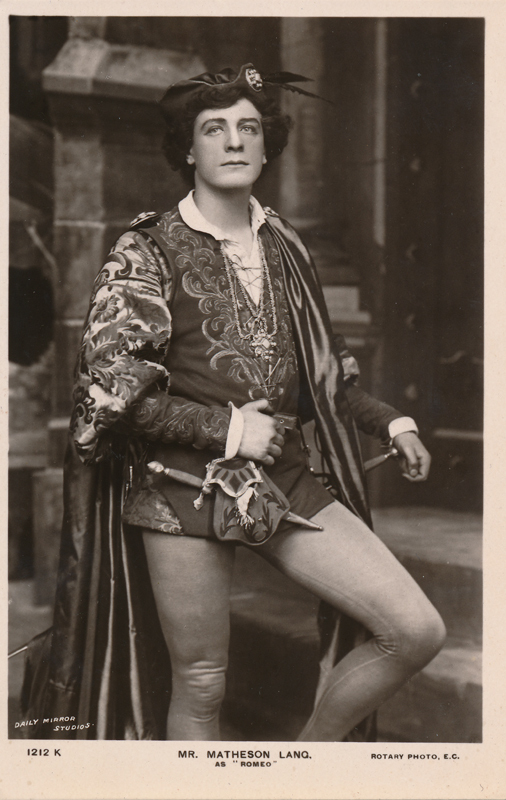 Before forming his own company, he acted with the companies of Sir Frank Benson, Lillie Langtry, and Dame Ellen Terry. 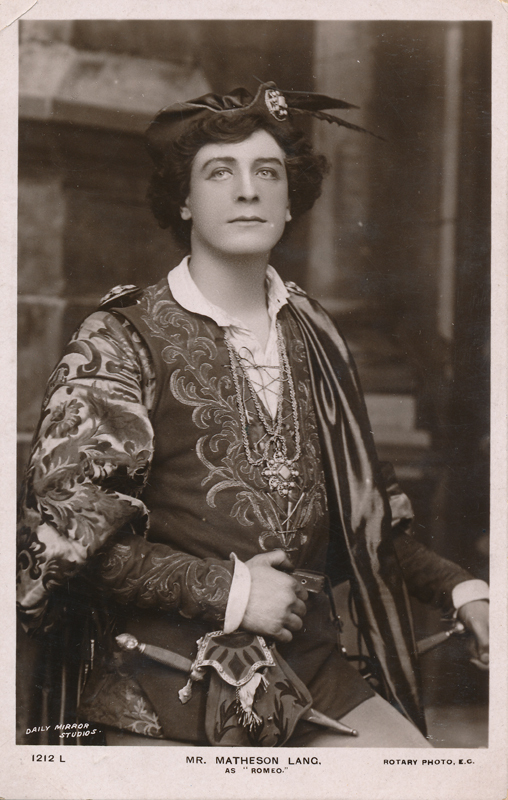 In his early career he toured the United States and the West Indies; after his success in 1908 in Romeo & Juliet and Hamlet, he toured South Africa, Australia, and Asia, where his company played Shakespeare with great success. 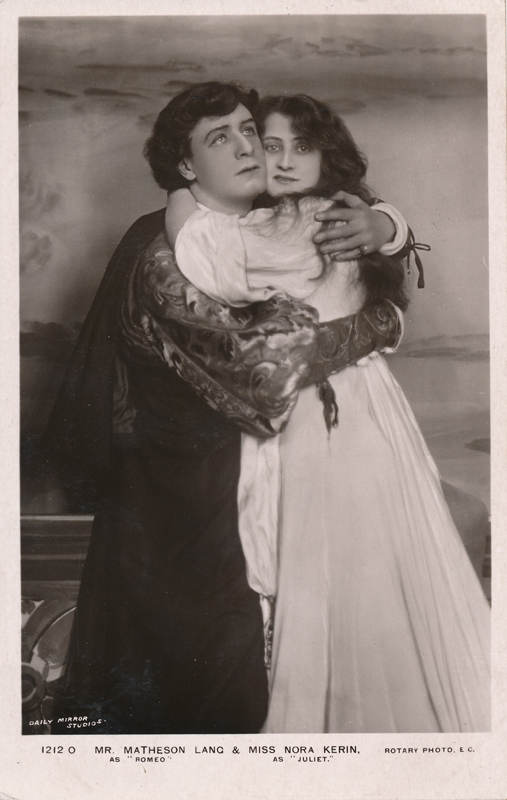 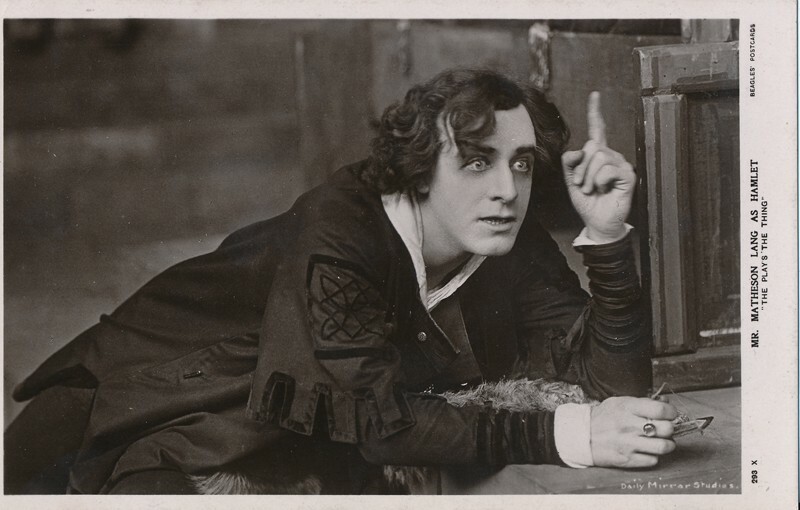 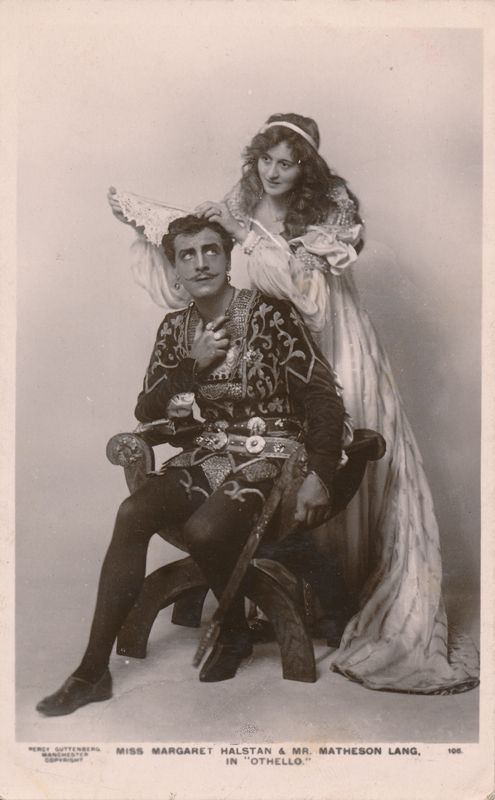 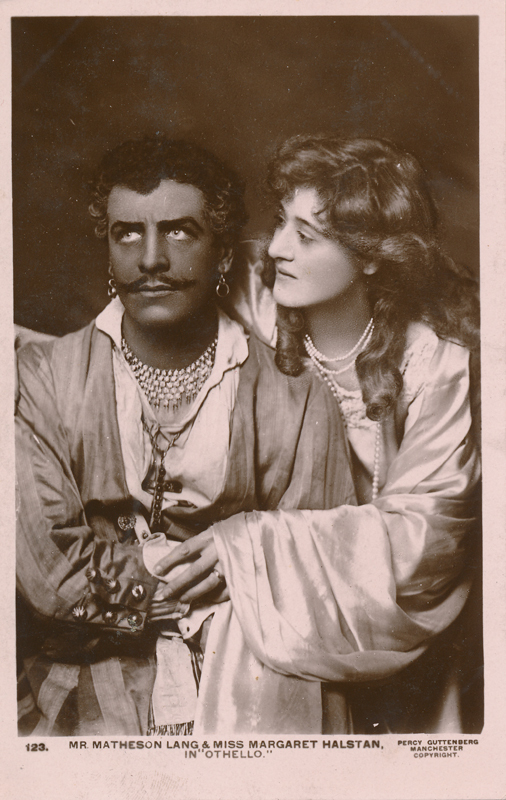 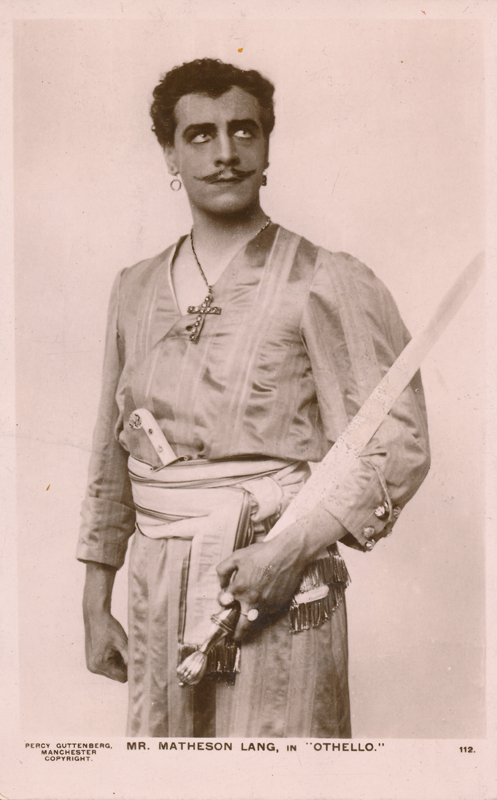 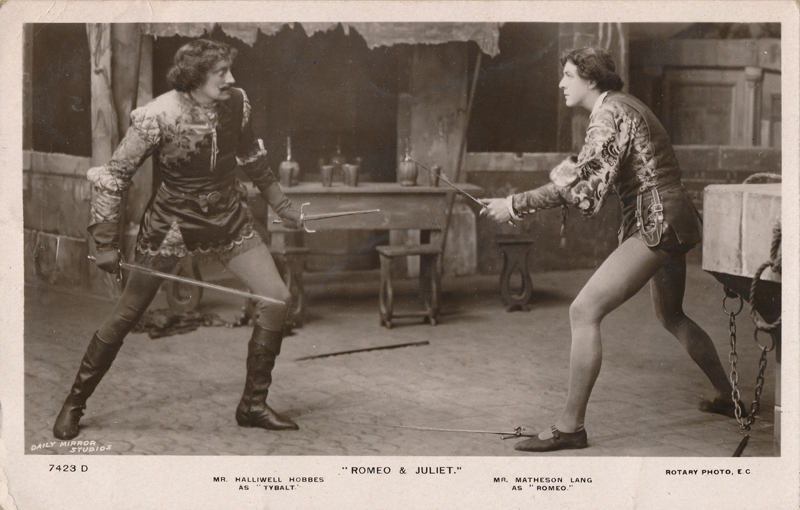 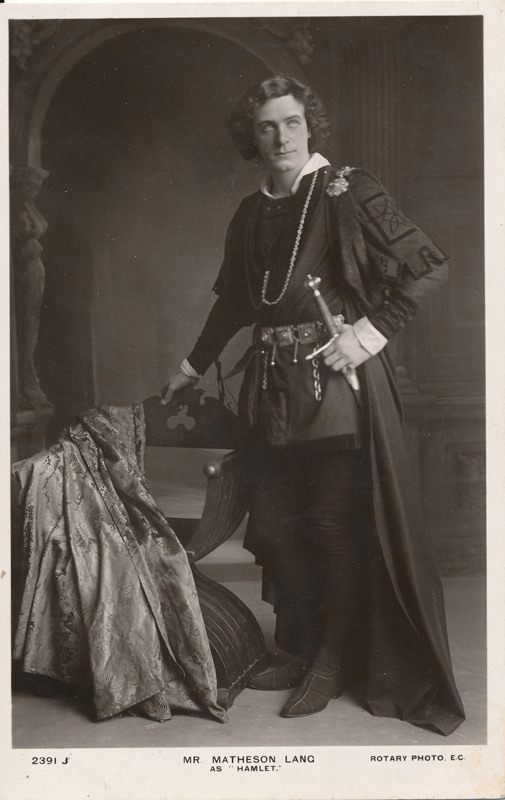 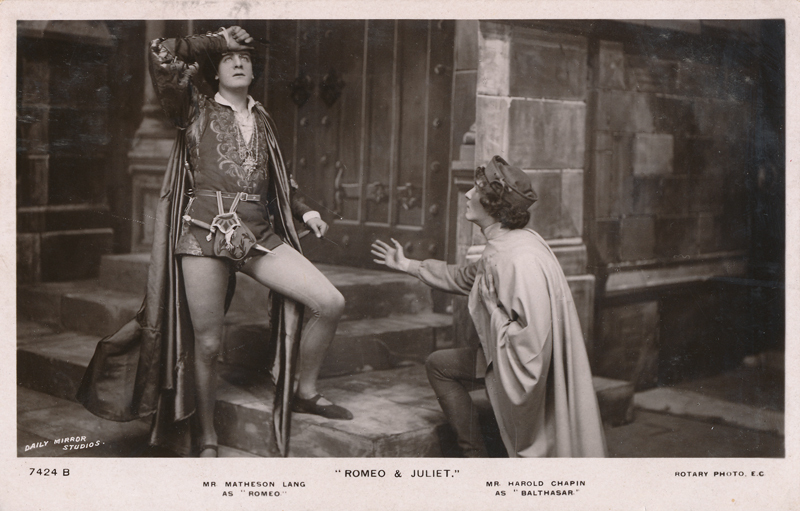 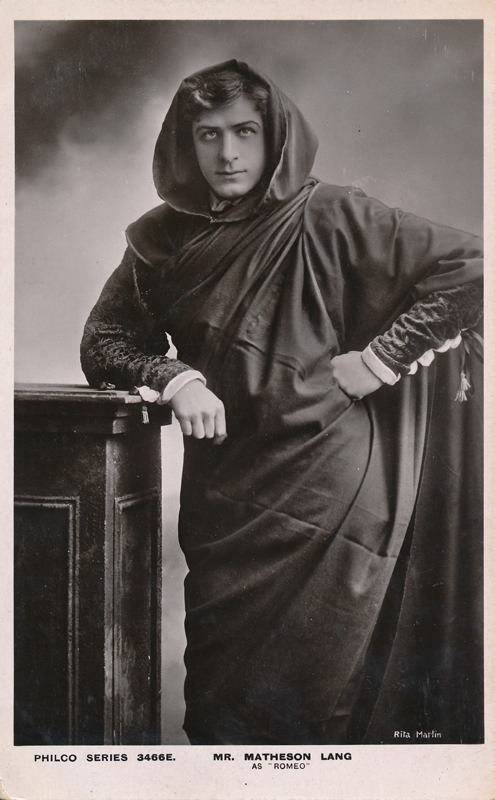 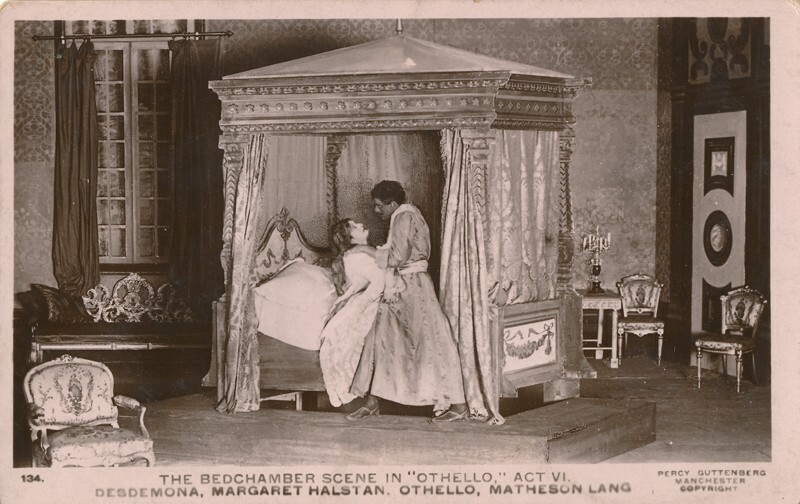 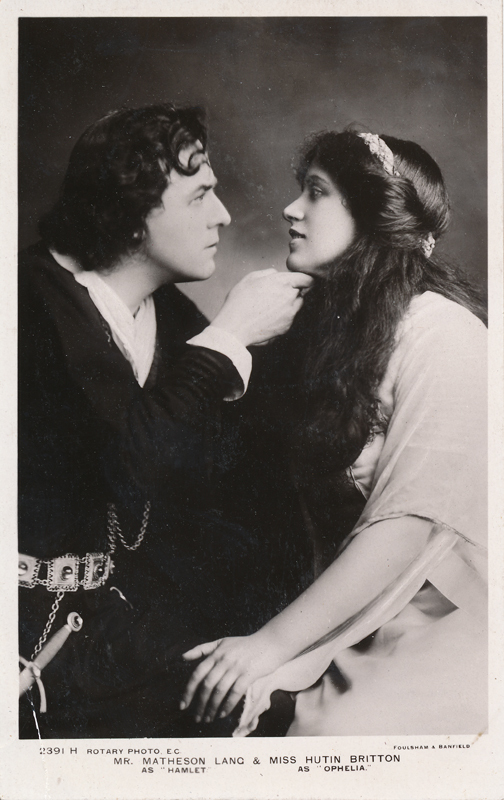 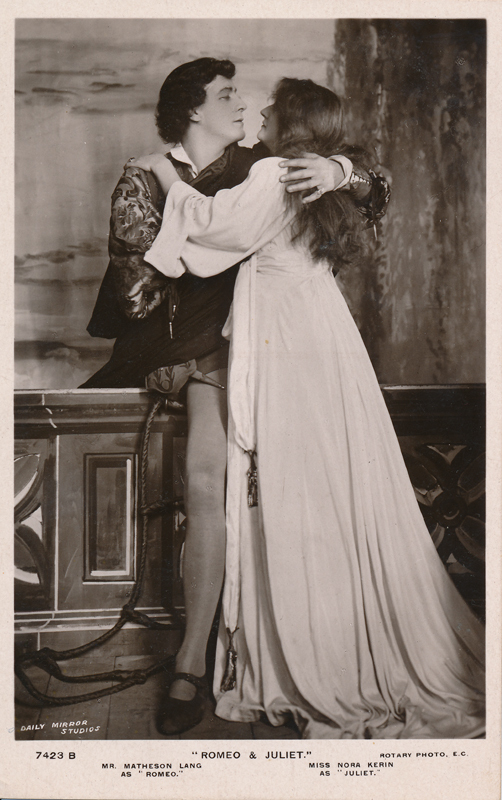 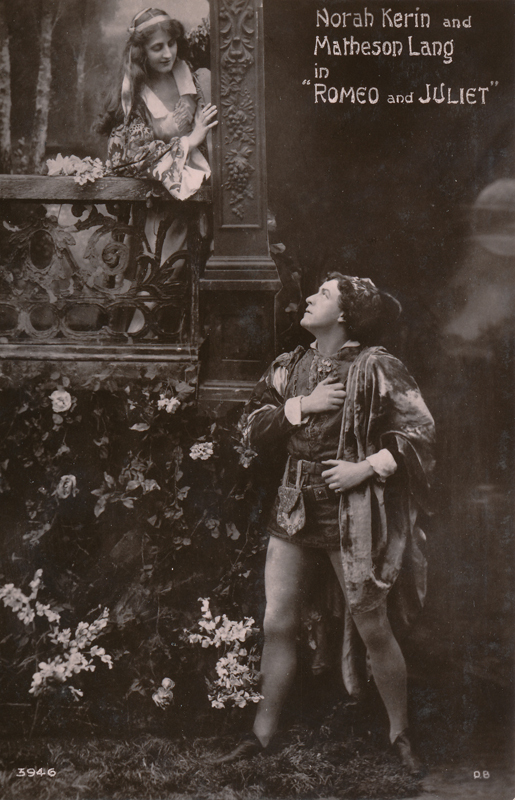 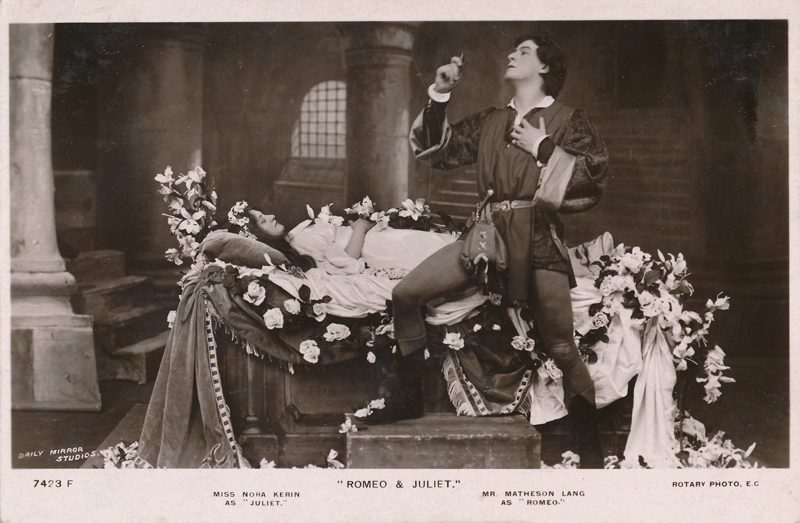 Notably, he produced and starred in Romeo & Juliet at the Lyceum Theatre, in 1908, opposite Nora Kerin as Juliet. 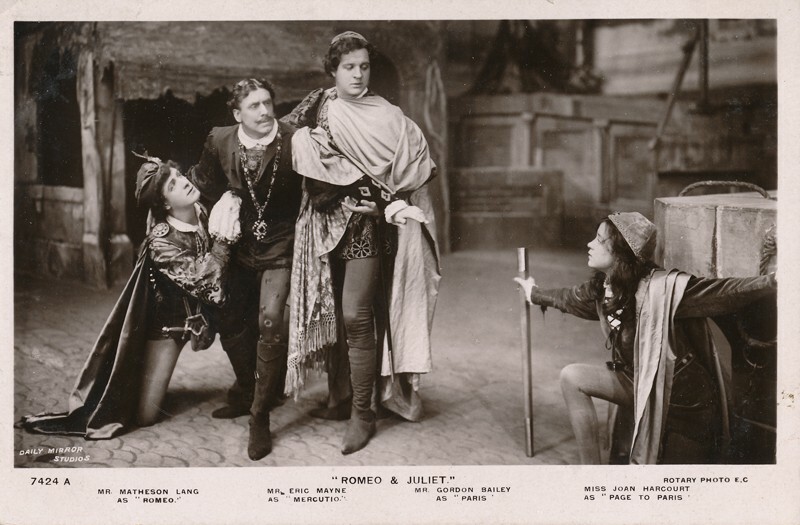 Many cards shown here depict this production. 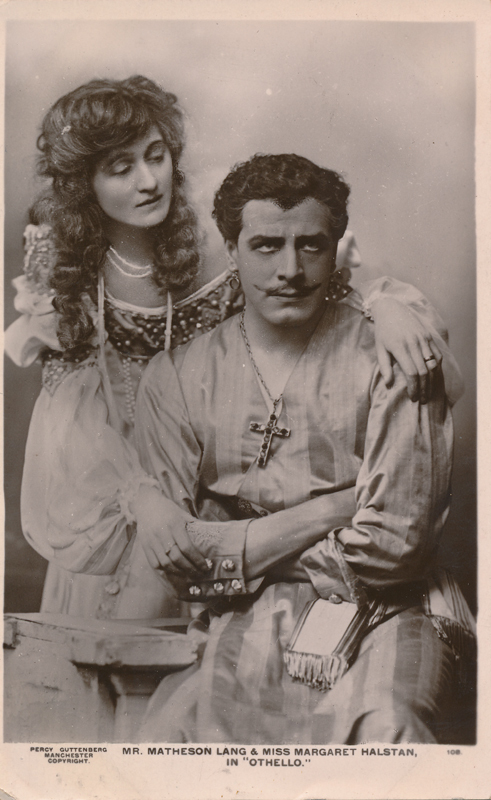 In 1914, he and his wife, actress Hutin Britton, inaugurated productions of The Taming of the Shrew, The Merchant of Venice, and Hamlet at the Old Vic. 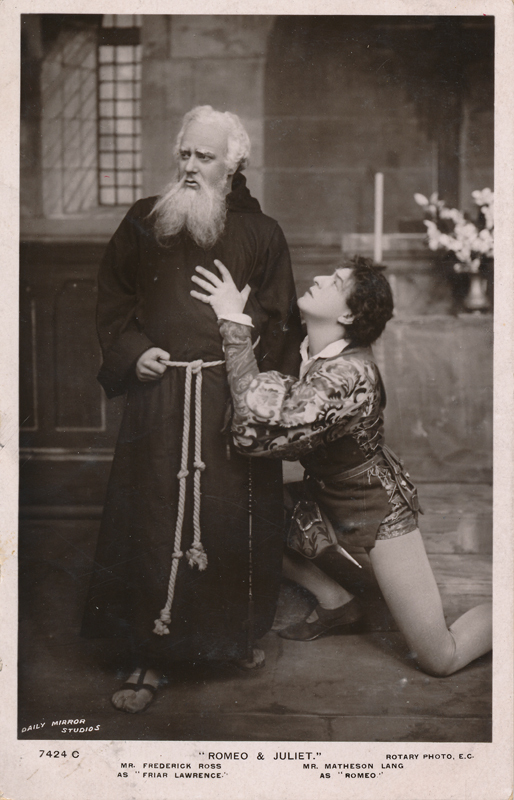 1916 saw Lang as one of the first stage actors to appear in a major role on film in the role of Shylock in a silent film version of The Merchant of Venice. 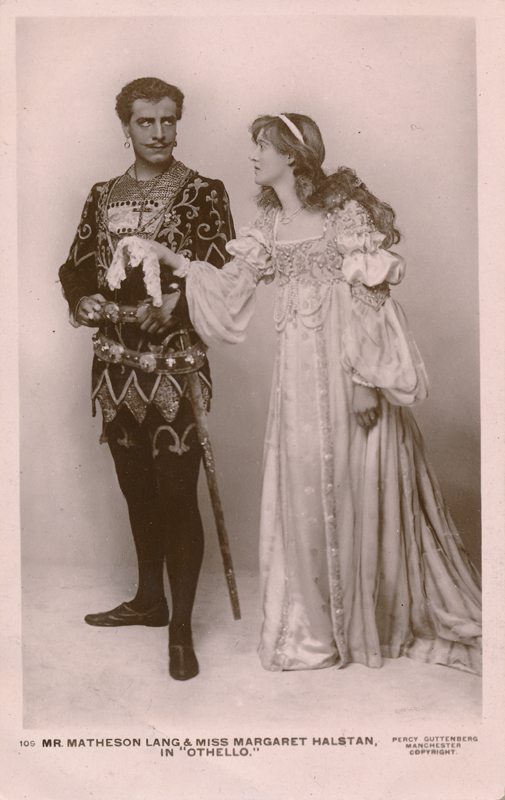 His wife, Hutin, played Portia. 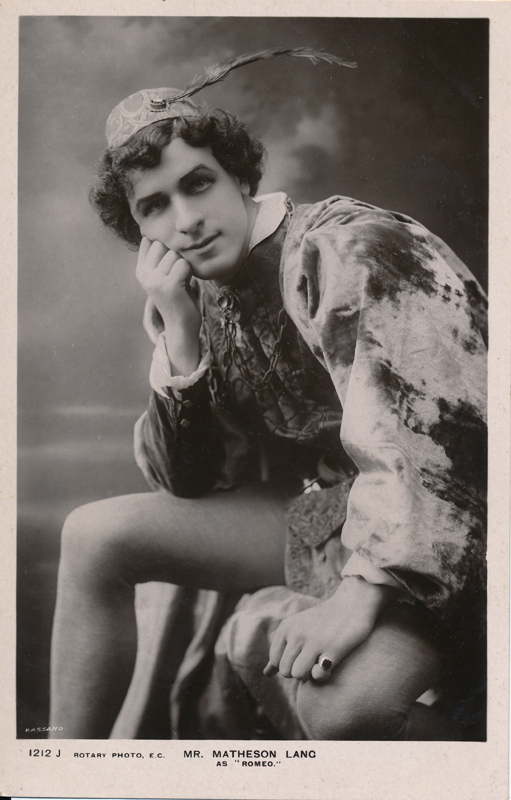 He went on to play in over thirty films and was known as one of Britain’s most famous movie stars in the early twentieth century. 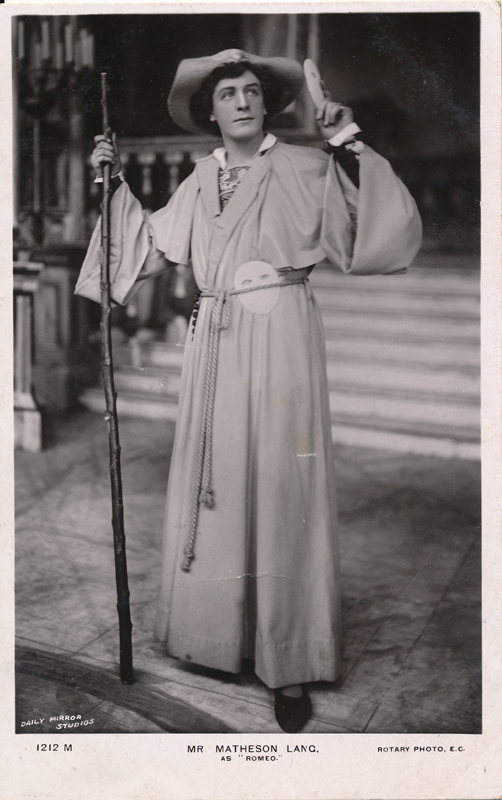 His long and successful career is recounted in his memoirs, Mr. Wu Looks Back (1940); Wu Li Chang, a character in the play Mr. Wu, was one of Lang’s most popular and successful roles. 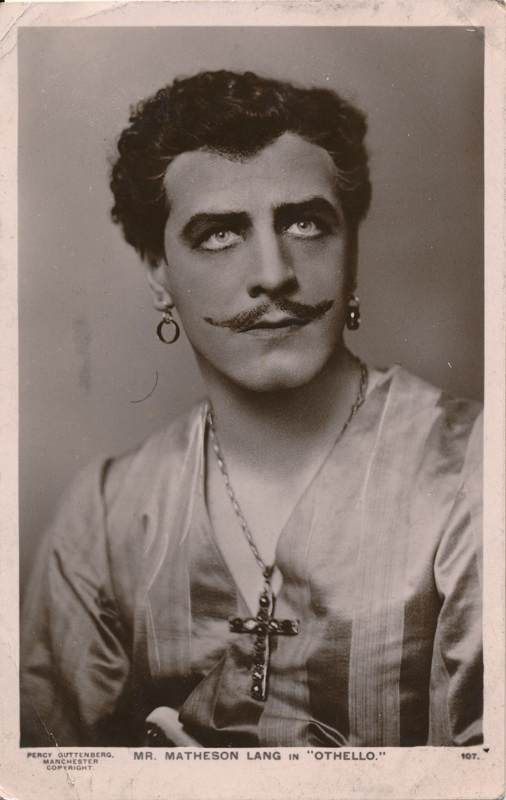 He died in Barbados in 1948.